Another Sunday, another race.....and another sunny day! When Carver Barracks was announced as the venue for this years Regional Champs my heart sank a little. It's never been my favourite course....too flat despite some very short, sharp climbs and long sections of narrow, twisty single-track trough the woods where passing is nigh on impossible. It doesn't suit me too well but you've got to race the course they give you. As it turned out it was quite good fun. 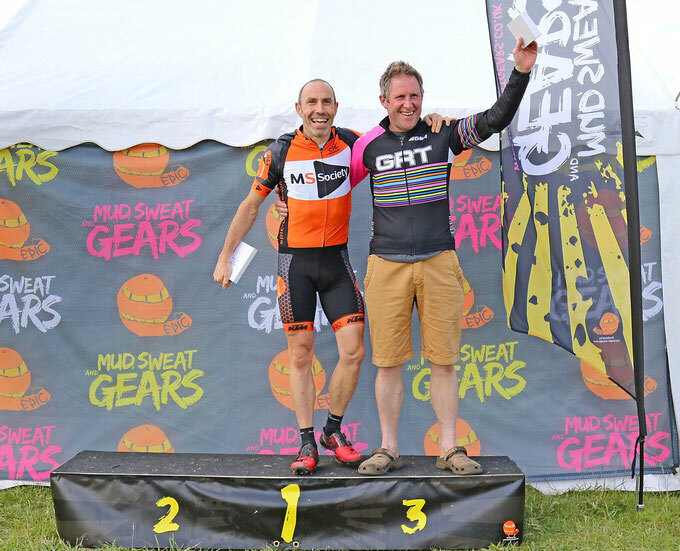 After a decent start that saw me leading through the woods, an early spill on the damp, chalky soil put me back to 4th as we came round for the end of the first lap with Mark Wingar, Gary Curtis and visiting rider Rick Featherston leading the way. The next lap was spent slowly picking our way through the back markers of the earlier starting Vets riders until we reached the long, open finish straight when it was time to start pushing on. The KTM Myroon Sonic was coping admirably with anything the course had and in the next laps Mark and Gary began to fall back , leaving only Rick for company. The 29" wheels were rapid on the straights and were agile enough to get round the tightest of hairpin corners through the woods,eventually helping me to eke out a 30 sec advantage by the finish line. Thanks as always to Sunshine Solar, Beeston Brewery, Foster Knight Accountants, Epic Orange and my lovely wife Wendy for supporting me with this silly obsession. 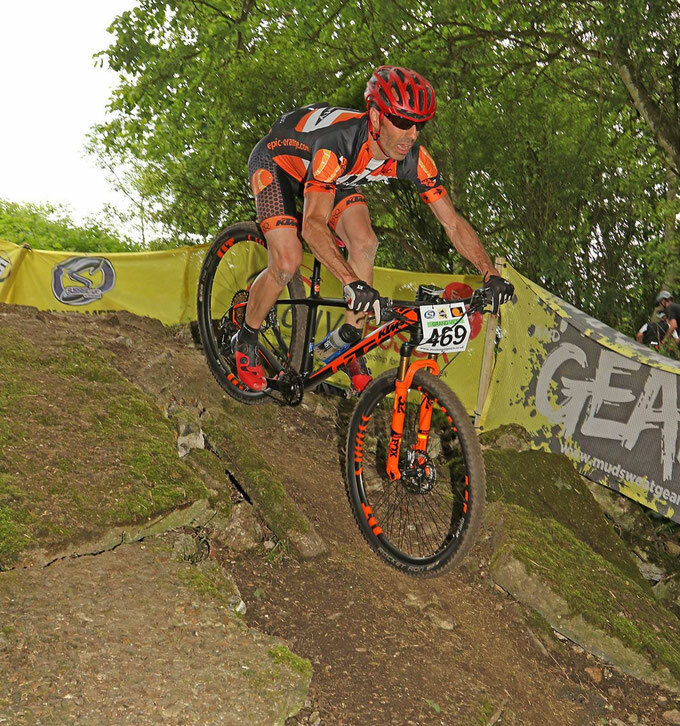 Next up in 3 weeks time is Rd 4 of the National Series at Dalby Forest in North Yorkshire...fingers crossed for another step up on the podium.